Add a touch of the tropics to your decor with the Hampton Bay 56 in. 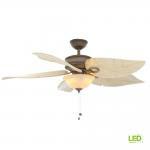 Costa Mesa weathered zinc ceiling fan. This fan is damp rated for use outdoors in covered porches. The beautiful styling of this fan allows it to be installed indoors as well, complimenting many decorating trends. 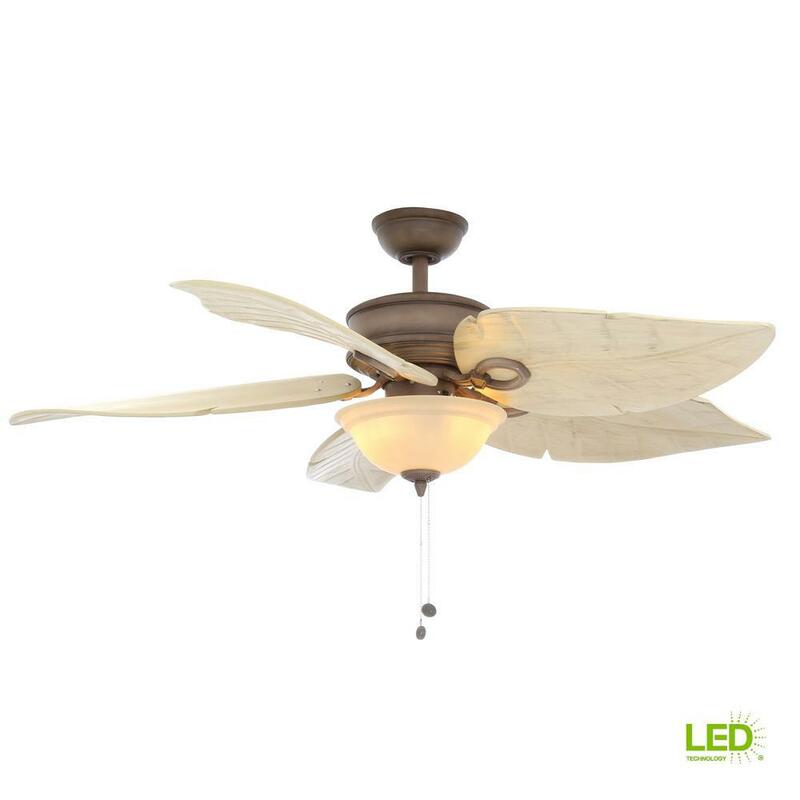 The fan comes complete with hand carved, all-weather wood blades in reclaimed oak finish, a sandstone glass bowl light kit and (2) 9.5-Watt LED bulbs. The patented Accu-Arm Technology allows for accurate and easy installation with quiet, wobble-free operation.